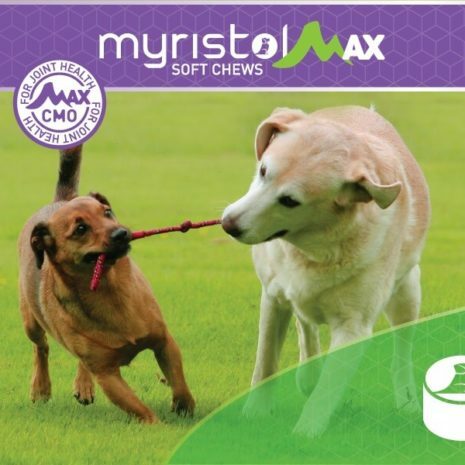 MyristolMAX soft chews have been specially formulated to support joint health in your dog. 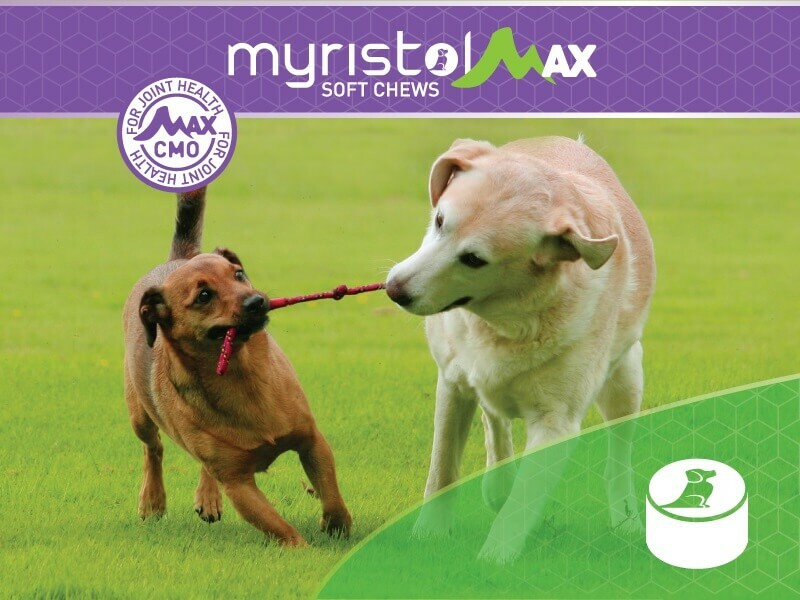 MyristolMAX chews contain the same high quality joint health ingredients found in Myristol chewable tablets. However the concentrations of cetyl myristoleate, glucosamine, hydrolyzed collagen, and MSM are all increased in the soft chews, making MyristolMAX a powerful choice for your dog with joint health challenges. MyristolMAX chews may help restore movement and flexibility and can also play an important prophylactic role in preventing further joint deterioration. Because of the increased concentrations of the major joint health ingredients in MyristolMAX, you may find that you can maintain your pet at lower levels than those initially recommended, once your pet is moving more freely. Make sure that you are feeding an appropriate diet, along with providing regular exercise, to help keep your dog healthy and active. Provide one chew per 20 lb of body weight per day. Because of the high concentrations of the individual joint health ingredients, a lower maintenance level can be considered once mobility and freedom of movement have improved. The chew can be cut or broken to achieve this lower maintenance level of administration.